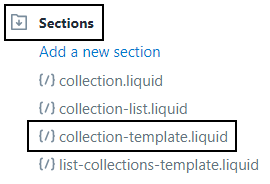 Open that template and check the contents, if it points to a section named collection: open that section instead. Here's where it gets a bit tricky. 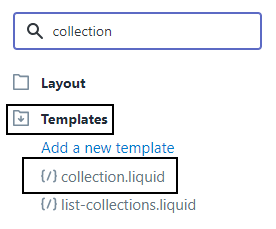 Every theme has different code in the collection (section) template. Look for the word "for" in the code. Put your mousepointer in the code and click CTRL+F to search the code. In this example the name of the file we're looking for is "product-card-grid.liquid".